Dr. Reed has served as the Director of Outcomes Research and Data Analysis since 1999. Dr. Reed graduated from the University of Texas, School of Public Health with a doctorate in Public Health in May of 1997, with a focus in health services research and held the position as Assistant Professor in the University of Tennessee College of Pharmacy Department of Pharmacy Practice and Pharmacoeconomics for four years. She has taught courses in applied pharmacoeconomic research methods in the graduate program. These methods included decision analysis, Markov models, Structural Equation Models, survey development and design, and applied multivariate statistics. Dr. Reed has taught SAS, SPSS, EQS, AMOS, SUDAAN, Systat, DATA, and other software packages related to database management and statistical analysis. Dr. Reed’s research interests are in the reliability and validity of measurement where she has published on this issue as it is related to the measurement of health-related quality of life and patient satisfaction. She has served on the College of Pharmacy Research Committee evaluating research proposals and grant applications and was a member of the Tennessee Medicaid Drug Utilization Review Advisory Council, which was responsible for the evaluation of the TennCare DUR program. Her role on the council was to provide evaluation of research proposals and research design for the TennCare DUR program and oversee the research projects. During her tenure on this council, she evaluated CHF patients, diabetes in adults and children, asthma, mental health, and the utilization of many different drug classes. Dr. Reed also worked with the Tennessee Department of Health Division of Mental Health where she was responsible for the oversight of the Medicaid Mental Health program to develop methodologies to evaluate the quality of care provided to the patients. 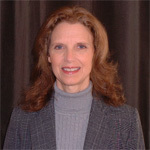 In addition, she worked collaboratively with full-time, part-time, and affiliated pharmacy faculty to develop research projects and obtain funding for projects evaluating hepatitis C, urinary incontinence, and hyperlipidemia, as well as funding for the evaluation of pharmacist salaries and pharmacist reimbursement for cognitive services. Dr. Reed further received student support funding from the pharmaceutical industry and the Arthritis Foundation, Tennessee Chapter. In addition, she assisted residency preceptors on research projects and participated in the development of a pharmacist immunization program. Dr. Reed was formerly the research director for the University of Tennessee Center for Community-Based Health Initiatives, which is a collaboration between the University of Tennessee Extension Service and the College of Pharmacy.